Will Josh Barnett Ever See the Inside of the Octagon Again? 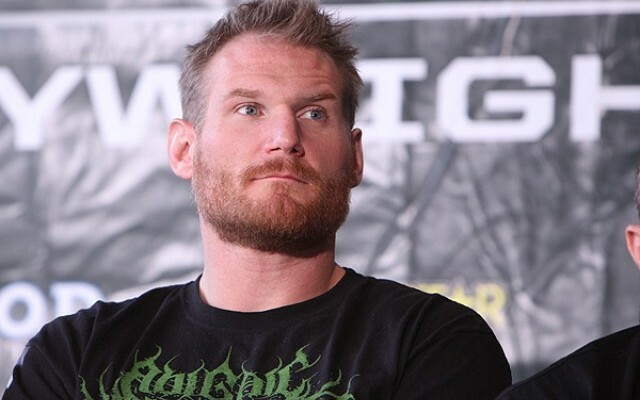 Does Josh Barnett really have a future in the UFC? According to an interview on The MMA Hour on Monday, he seems to think so, but it might not be so cut and dry. Josh Barnett, widely considered one of the top ten heavyweights in professional MMA, has had quite the storied, and troubled, career. Barnett began his professional MMA career in 1997. Over the next three years, he quickly racked up a 9-0 record, including a fourth-round armbar of the legendary Dan Severn. This streak got him into the UFC, beginning with UFC 28 in late 2000, where he won by second-round TKO. Barnett’s second UFC fight was only three months later, in which he suffered his first loss to Pedro Rizzo. Barnett came back with a vengeance after his first loss. He went on a three-fight winning streak, including wins by an armbar and a TKO, before getting a title shot against Randy Couture for the UFC heavyweight strap at UFC 36 in March 2002. In that championship battle, Barnett decisively beat the future legend by way of a second-round TKO and won the UFC heavyweight title. However, the glory was short-lived as Barnett tested positive for three banned substances and was subsequently stripped of his title, never to fight in the UFC again. This would be his first time rubbing UFC President Dana White the wrong way, but certainly not the last. Following his release from the UFC, Barnett continued his winning ways until meeting Mirko “Cro Cop” Filipovic in his Pride debut in Oct. 2004, where Cro Cop won by first-round TKO. Barnett dropped his second fight to Cro Cop by unanimous decision a year later, also in Pride. After back-to-back losses to Cro Cop, Barnett went on a four-fight winning streak in Pride, before facing his nemesis, Cro Cop, again at Pride Absolute in Sept. 2006, for the openweight title. Barnett lost for the third time in two years to the same guy, and after two more fights in Pride, including a loss to Antonio Rodrigo Nogueira, he tried his hand at some other circuits, such as Sengoku, Affliction, Dream and Strikeforce. In the middle of his second eight-fight winning streak, Barnett messed up again, only this time with much bigger implications. Affliction Entertainment, with Donald Trump as a majority shareholder, was a new MMA promotion in 2008 with Josh Barnett as one of its top heavyweights. At the promotion’s third installment, Affliction: Trilogy, a superfight was set for the main event with Barnett facing off against Fedor Emelianenko, who was a legend at the time and hadn’t lost in eight years. Ten days prior to the event, it was announced that Barnett tested positive for steroids, again, and the event was canceled. The fallout from this one was much worse than Barnett’s original positive test. Not only was the event scrapped, but many of the fighters went to different promotions and the entire organization folded after hosting only two events. This, more than anything else, affirmed Dana White’s problems with Barnett. Not only did Barnett get caught cheating for a second time, he caused an entire promotion to go under and verbally stated that he didn’t actually care. He stated that he didn’t care about fans or anyone else, and essentially that all he cares about is himself. However, this was not exactly a final blow to Barnett’s chances of ever being a part of Zuffa LLC, the parent company of the UFC. In early 2011, it was announced that Zuffa had purchased competitor Strikeforce. As it so happened, Zuffa, due to contractual obligations between Showtime and Strikeforce, decided to keep Strikeforce in place through January 2013. The kicker? Barnett was under contract with Strikeforce and one of the top heavyweights in the promotion. So, since Zuffa purchased Strikeforce, Barnett and White have both been a part of the same organization, and there haven’t been a whole lot of jaded words spilled between the two. Barnett has actually been part of the headlining fight for two events, the last one being in May when he fought Daniel Cormier for the Strikeforce heavyweight title and lost. Last week, it was announced that for the final Strikeforce event on Jan. 12, 2013, Barnett would face a promotional newcomer as his final fight under contract with Zuffa. Barnett, at 35 years old, has been fighting professionally for fifteen years. He holds a 31-6 record with nineteen submission victories and seven knockouts. His only loss, in the last six years was in his last fight against the current Strikeforce heavyweight champ. The Cormier loss was a unanimous decision after five hard-fought rounds, showing the aging fighter still has a deep gas tank. However, as impressive as Barnett is, Dana White has already stated how he feels. The UFC chief does not like his general attitude and has taken many verbal shots at Barnett over the years. White also has some serious issues with the guys who have been testing positive for steroids, hence Nate Marquardt’s UFC firing. 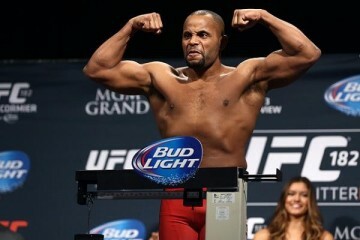 However, Marquardt has made a big impact in Strikeforce and is expected to again join the UFC ranks in the near future. Will this happen for Barnett? Barnett may have a chance at getting back into UFC action because of the merger with Strikeforce, but he will most certainly need a win at the final Strikeforce event next month. If Barnett doesn’t make it past promotional newcomer Nandor Guelmino, he can kiss any chance of rejoining the UFC goodbye. Dana White does not like Barnett, but as seen with Tito Ortiz, White has proven that time can heal, or at least patch, the deepest of wounds. 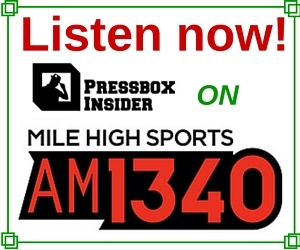 Barnett’s comments on Monday, however, were a little overconfident, considering Strikeforce isn’t quite done with him yet and Guelmino is definitely a game competitor. If Barnett wins next month and Dana White feels that he would be a good addition to the UFC, it is possible that the former, albeit short-lived, heavyweight champ could see the inside of the Octagon once again. Even if that is the case, he would be far away from anything remotely close to a title run and would be far down the totem pole, behind guys with names like dos Santos, Velasquez, Overeem, Cormier and Werdum.